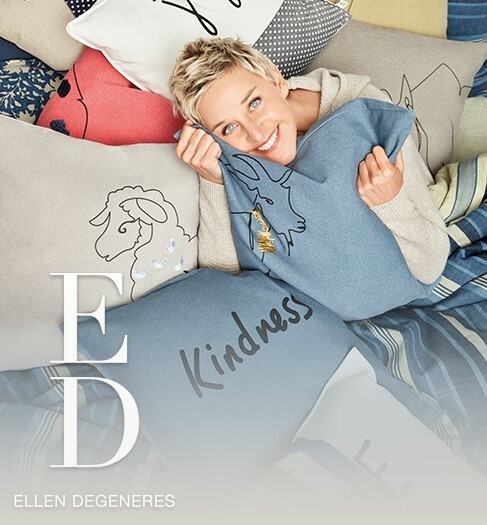 Bed Bath And Beyond is celebrating the new Ellen DeGeneres ED clothing line by giving you a chance to instantly win a copy of her new book, "Home" and a pillow from the collection OR the big prize, a $500 gift card! One (1) Grand Prize: An ED Ellen DeGeneres Bedding Collection Prize Package + $500 Bed Bath & Beyond Gift Card. Twenty-eight (28) Instant Win Daily Prizes: A copy of HOME by Ellen DeGeneres (Hardcover edition) and choice of one (1) animal or word pillow from the ED Ellen DeGeneres collection. This Sweepstakes ends on 05/29/16 and you can ENTER DAILY to win.